In this US segment of the new series, three diverse acts are selected for some positive extended scrutiny. Some may be well known, others out to establish themselves but all will have a relevant recent or upcoming record which warrants a feature. First up and representing the solo male singer-songwriter plying his trade on the Americana circuit is north-east US native Rod Picott. 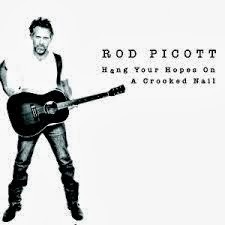 No stranger to many active enthusiasts on the UK circuit, Rod has just released his seventh solo studio album and repeat listens to HANG YOUR HOPES ON A CROOKED NAIL suggest the great storytelling knack that has served him well over the years is still in fine fettle. '65 Falcon' is the song that makes the most impression but any Rod Picott listening experience to best undertaken by letting a complete album soak through your veins and digest each track on your own terms. 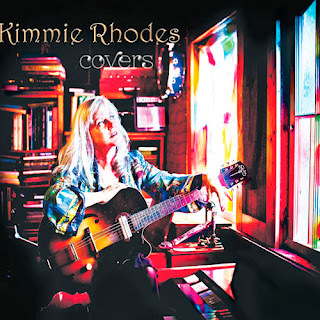 Texas singer songwriter Kimmie Rhodes is an institution among her peers and has earned the right to call her own shots with regards to her artistic direction. After many years of delivering highly acclaimed original material, Kimmie has put that side of her creative talents on hold and spend time instead expertly interpreting the work of others whilst still ensuring value is added to these respected. This last point is never in doubt when Kimmie wraps her own sophisticated tender vocals around the lyrical and melodic content of these timeless classics. Many of the songs will need no introduction but her version of 'Yesterday' is getting some airplay and acclaim. However you will have your own favourites so decide for yourself whether Kimmie has added value with her version. 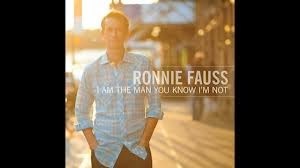 Finally the name of Ronnie Fauss has literally just come to my attention and it's hard to think of a recent act which had the same instant appeal to that which the playing of his recent album I AM THE MAN YOU KNOW I'M NOT had. In the structured world of genres and labels, industry moguls will pin the alt tag to Ronnie but it has to be said that there is far more country to this album than much of the male output from the majors ruling Music Row in Nashville. There is a strong school of thought believing that the true spirit of country music has gravitated to the Lone Star State and Texan Ronnie is an artist that will strengthen that belief.